I liked your formoid app – very easy to use. a) A validation system via a jQuery library. You would only need to extend your element config panel to include a required [yes,no], validation type [phone, email, alpha, alpha numeric, email, currency, non-zero (for selects), postcode/zipcode] as common types. You might need to include a language support for international appeal. I see this as a must have! c) Optional help/info icon with Jquery tooltip (qTip) to display help information. 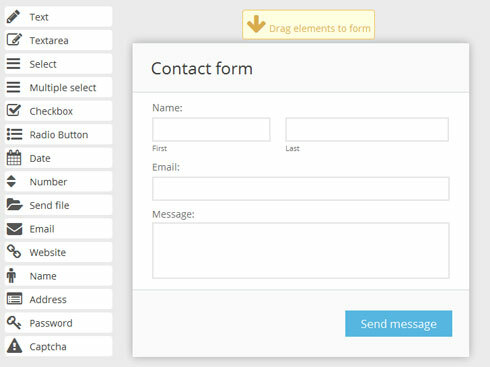 but if a codeless contact us html form app is the goal this would be the icing on the cake. I look forward to seeing the full version!